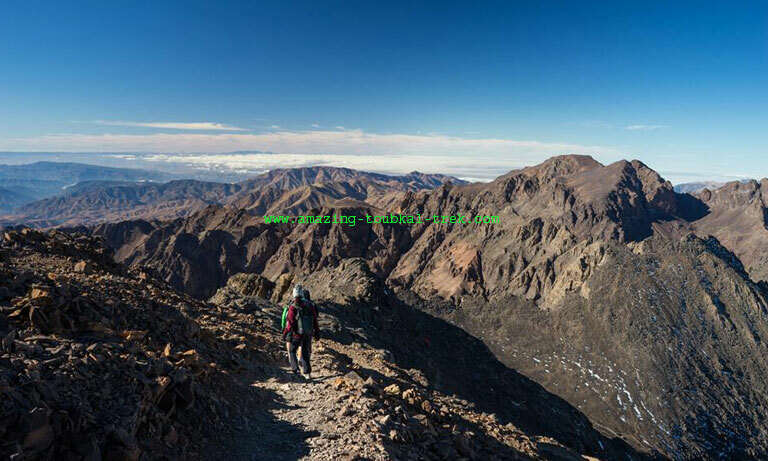 Mount Toubkal ascent: 4-day Toubkal hike to challenge yourself to climb Morocco’s highest peak. The trek will take you to the beautiful Atlas Mountain via the Azzaden valley and Irhouliden waterfalls. 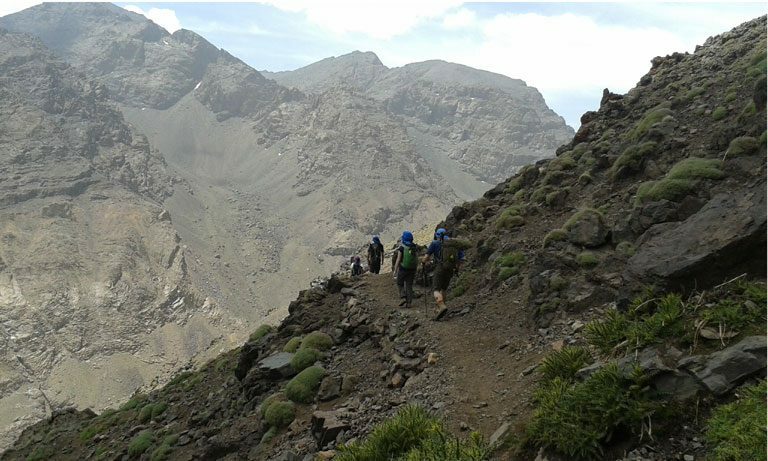 We offer this Toubkal hike for those trekkers who are looking for a circular trekking experience and are short on time. – Enjoy the breathtaking views of the High Atlas and the surrounding plains. After a transfer to Imlil village, we begin 5-hour trekking towards Tamsoult via Tizi N’Mzzik. We visit the pasture of Tamsoult and its waterfalls (the Ighouliden waterfalls) along the way. Overnight in the refuge. After breakfast, we will start climbing a rocky 80 zig-zagging path for about 3 hours and get to Aguelzim pass. We then trek down to Nelter refuge for lunch. We will spend the night in the shelter or comp. 5 hours trek. Early departure after breakfast, we climb to Toubkal – the highest peak in Morocco and North Africa (from where you’ll have a superb view of the Atlas range and Sahara desert). We then head back down to Armed village and spend the night in a guest house. 8 hours trek. After breakfast, we leave Armed and trek up to the crossing of Tamatert. We descend to Imnane valley, then trek up to Ageursioual pass. Finally, we make our way down to lunch spot at Aguersioual village, before going back to Marrakech. 6-hour trek. 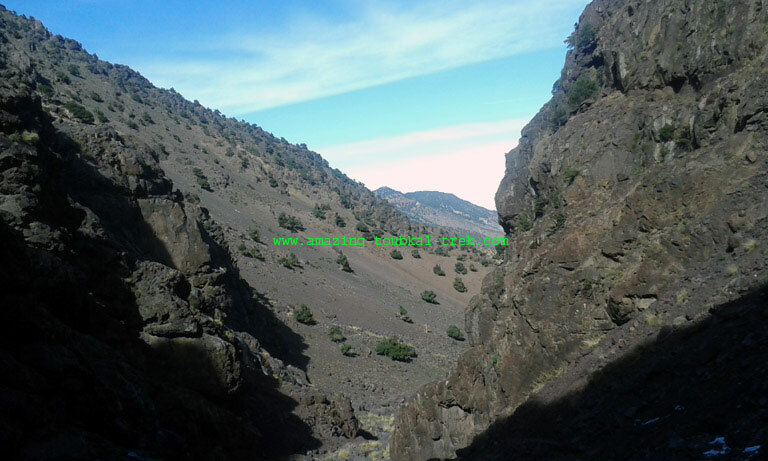 – This Mount Toubkal ascent is available and can be arranged for groups of all sizes. 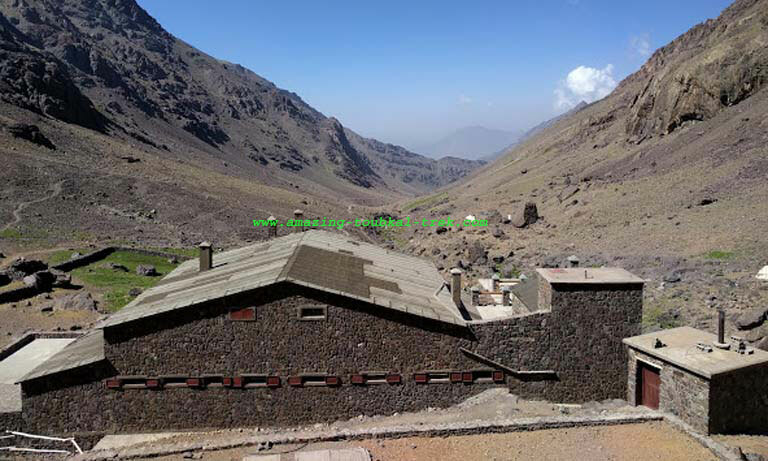 Mount Toubkal ascent via the Azzaden valley is a sure way to explore Mount Toubkal. Toubkal Hike via Azzaden valley.